Justin Lin tends to do things fast and furiously, but that's not the case with Space Jam 2. 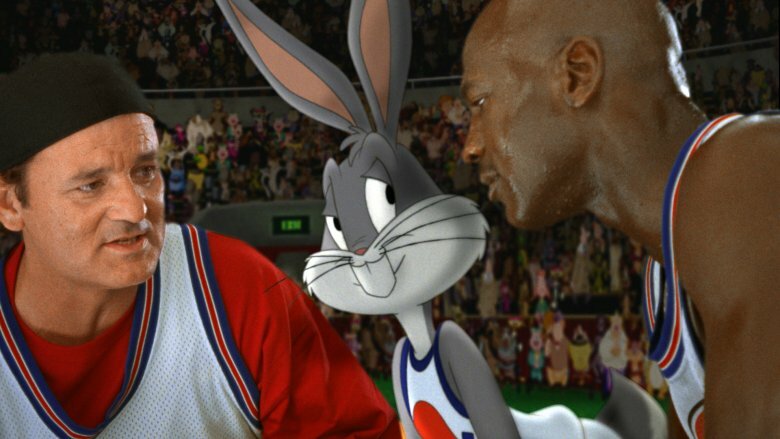 Slash Film reports that the director best known for The Fast and the Furious and Star Trek Beyond recently said he's been taking his time as he tries to perfect the script for the sequel to the hit 1996 movie that teamed Michael Jordan and other NBA players with Bugs Bunny and the Looney Tunes. The new movie will star LeBron James. "Everybody at the studio's been calling, 'Let's go, let's go' and I'm like [it's] not right yet," Lin said. "To me, the challenge is we have actors who are also professional athletes, so schedule is something that is tough. I've been really wanting to push that genre, but to do that you need the right amount of time. So there's a logistical challenge but also creatively, to do a sequel 20 years later with a new cast and also to be able to, in a relevant way, bring the Looney Tunes back. That's very important to me to do it right. I feel I've done nine different iterations already and we're going to keep going, but we're getting closer every day." However, the casting of James could make the process difficult to schedule. "It's a different challenge because he's a professional basketball player," Lin said. "He's not retired. When the first one happened, it was during a strike and Michael Jordan was retired. From what I've learned in film, you have to be passionate and when you're ready, you'll make it happen." As for who can fill the shoes of Bill Murray, who co-starred in the original, Lin said there's no shortage of actors lined up. "There's one thing that I've learned," Lin said. "There are so many sports and Space Jam fans. I run into them and everybody's volunteering to be in the movie, so I don't think it's going to be a problem." The first movie was a global hit, bringing in more than $230 million. It remains one of the highest-grossing basketball movies ever. But it sounds like we'll have a while before we can compare it to the sequel. Until then, check out some cartoon voices that look much different than you'd expect.